The University of Alaska Southeast (UAS) is pleased to announce that Dr. Keith Cox has joined UAS as an Assistant Professor of Marine Fisheries in the Department of Natural Sciences. For the past three years, Dr. Cox has served as the Director for the Alaska Native Science and Engineering (ANSEP) program at UAS and has taught microbiology in the department. Dr. Cox’s Ph.D. is in Fish Physiology and Bioenergetics from West Virginia University. He also holds an MS degree is in Aquatic Ecology from Texas State University and a BS degree in Biology from Centenary College of Louisiana. Prior to coming to UAS, Dr. Cox worked as a Fisheries Research Scientist and ANSEP Liaison for the US Department of Commerce, National Oceanic and Atmospheric Administration (NOAA) National Marine Fisheries Service Auke Bay Laboratory, and was the science chair at Sheldon Jackson College in Sitka. Upon the closure of Sheldon Jackson, Dr. Cox served as the first Chair and co-founder of the board of the Sitka Sound Science Center. He is the co-founder of Certified Quality Foods, Inc., a seafood technology company that manufactures electrical impedance based quality and composition analyzers. Dr. Cox’s new appointment will continue to support his work with ANSEP and will expand his service responsibilities to include program development and recruitment of new students for the marine fisheries emphasis options in the Biology and Marine Biology bachelor’s degree programs. Dr. Cox will teach courses in biology and contribute to the UAS faculty collaboration with UAF School of Fisheries & Ocean Sciences to develop a joint Bachelor of Science (BS) degree in Fisheries. Dr. Cox’s position is funded by the University of Alaska’s Technical Vocational Education Program (TVEP). The University of Alaska Southeast (UAS) School of Arts & Sciences is pleased to announce that Dr. Mique’l Dangeli has joined UAS as an Assistant Professor of Alaska Native Studies in the Department of Humanities. Dr. Dangeli comes to UAS from Vancouver, British Columbia where she has been an Artist-in-Residence at the Scotiabank Dance Center, the Protocols and Performance Consultant for the Indigenous Performing Art Alliance, and Curator-in-Residence for Full Circle First Nations Performance’s Talking Stick Festival. Dr. Dangeli’s Ph.D. is in Art History from the University of British Columbia; she also holds an MA degree in Art History from the University of British Columbia and a BA degree in Art History from the University of Washington. All of her programs of study have had a strong Northwest Coast Arts focus. Dr. Dangeli was born and raised in Metlakatla, Alaska. She belongs to the Lax̱sgiik (Eagle Clan) and carries the Tsimshian name Sm Łoodm ’Nüüsm and Tlingit name Táakw Shaawát. She served her community for eight years as the Director of the Duncan Cottage Museum, where she worked closely with the staff at the Alaska State Museum. For the past 12 years she has also worked for the Annette Island Service Unit in Metlakatla as the Curator of their Healing Art Collection. She is a dancer, choreographer, and dance group leader. Since 2003 she and her husband, Nisga’a/Tsimshian/Tlingit artist, carver, and singer Mike Dangeli, have shared the leadership of the Git Hayetsk (People of the Copper Shield), an internationally renowned Northwest Coast mask-dancing group. Dr. Dangeli brings faculty expertise for developing new courses in Alaska Native Studies and Northwest Coast Art to UAS. 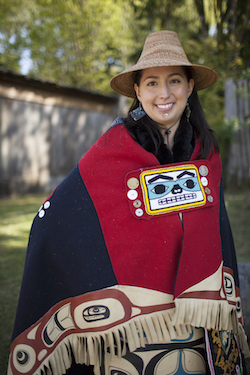 She will also teach Sm’algya̱x (Tsimshian language) courses to increase the offering of Alaska Native Languages at UAS. Dr. Dangeli arrives in Juneau in August. This fall she will teach a course on Northwest Coast Art History and work with faculty in the Department of Humanities to develop curriculum for Northwest Coast Arts in the Bachelor of Liberal Arts degree program. The University of Alaska Southeast (UAS) School of Arts & Sciences is pleased to announce that Dr. Michael Navarro has joined UAS as an Assistant Professor of Marine Fisheries in the Department of Natural Sciences. Dr. Navarro comes to UAS from California State University Monterey Bay where he has been a National Science Foundation Postdoctoral Scholar in Ocean Sciences for two years. Dr. Navarro’s Ph.D. is in Biological Oceanography from the Scripps Institution of Oceanography at the University of California San Diego; he also holds an MS degree is in Biological Science from California State University Fullerton and a BS degree in Biology from the University of California Los Angeles. Dr. Navarro brings faculty expertise for developing new courses in marine fisheries at UAS. He will also teach biology courses and supervise undergraduate research to support the growth of UAS’ marine biology and environmental science baccalaureate programs. Dr. Navarro’s teaching experience includes educational outreach to K-12 students to teach about climate change and encouraging students from low-income communities to attend college. Dr. Navarro’s research focuses on science questions that can inform sustainable management of commercial marine fisheries. Dr. Navarro utilizes cutting-edge sensor technology to monitor the ocean’s natural environmental variability and evaluate the impacts of climate change on coastal ecology and habitats. Dr. Navarro arrives on the ferry in Juneau on August 15th and one of his first priorities will be setting up his new marine fisheries laboratory for teaching and research at UAS. Dr. Navarro’s lab is funded by UAS, the University of Alaska’s Technical Vocational Education Program (TVEP), and an equipment grant from the UAF Biomedical Learning and Student Training (BLaST) Program. 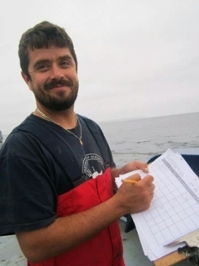 Dr. Navarro will also be working with Natural Sciences faculty to develop the curriculum for a marine fisheries emphasis option in the Biology and Marine Biology bachelor’s degree programs.